Bill Shankly's final interview by Moya Jones was published in the Liverpool Echo seven years after he retired from Liverpool on 13th July 1981. 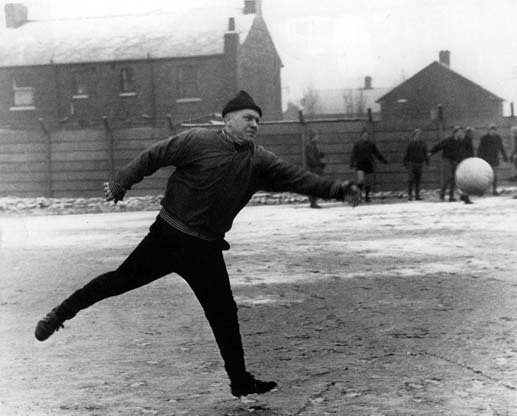 Three and a half months later Shankly retired from this world. Shankly discussed various topics in this excellent interview which give an interesting insight into his methods. During serious training a football player sweats. But you must still wear a sweater or top to train in, particularly if it's a cold day. This is to cover and protect your kidneys. If you haven't worn one, you must put it on as soon as training is finished to keep warm. Instead of stripping, training and showering at Melwood, eating there and then going home, we stripped at Anfield and went down by bus. When it's pre-season and you are hot and perspiring, you don't to be leaping into the bath five minutes after you've finished. If you do, you'll sweat all day. After training I encouraged the boys to have a cup of tea and even a walk around. It takes 15 minutes or so to get to Anfield from West Derby. About 40 minutes would have passed from training until they actually got into the bath. This is probably one of the reasons why we were always fitter than the rest. Most of the other clubs report directly to their training grounds, strip there and come straight off the pitch into a hot bath which I always disagreed with. Our lads never felt uncomfortable. They never had their lunch with sweat pouring off them. In my opinion, this was very important and a key part of Liverpool's fitness. It actually prevented injuries from happening. Footballers normally train for an hour and a half, but it doesn't mean they work for an hour and half. Some might be demonstrating a function while the others are watching. And then it's your turn. It's not how long you train, but what you put into it. If you train properly, 35 minutes a day might do. We built Liverpool's training on exhaustion and recovery with little areas of two-a-side, three-a-side and five-a-side in which you work like a boxer, twisting and turning. Training was based on basic skills, control, passing, vision, awareness. If you are fit, you have a tremendous advantage over everybody else. It's important to try and give everyone a touch of the ball as quickly as possible once the match starts. If it comes to you, you chest it down simple and you roll it to your mate. It doesn't look much, but it's something. If you try to do something clever and it breaks down, it can take the confidence out of you. That's not my way. After all the training was complete on Fridays, we always had a talk about the impending game. All the players and subs attended. One of the staff would have watched the opposition and would bring their report in. All I wanted to know was the formation. Was it 4-4-2, 4-3-3 or whatever. And did any of the opposing players have any little characteristics we might want to stifle? I never ever discussed the opposition at length. The last thing you want to do is build up your opponents and frighten your own players. We might have been playing Manchester United that weekend, but I wasn't going to be singing the praises of the opposition. I can remember overhearing one of the lads coming out of a meeting and saying: 'Are Best, Law and Charlton not playing?' That made me smile. In the main, we were only concerned about us and our collective approach. The message was: 'Keep everything simple. Be patient, even it takes 89 minutes to score.' The number of times we won a match at the death was unbelievable. And when you sneak one like that, it's heartbreaking for the opposition. I always tried to have a joke up my sleeve to boost our lads and knock down the opposition. We took our football seriously, but we always tried to get a laugh out of the team talks. And I would always keep a few bombs for Saturday. I might say to the old guy on the Anfield door: 'Here's a box af toilet rolls. Hand them to the opposition when they come through the door.' Often I'd say it just as our opponents were walking in. We didn't lose many, but when we did we were always ready to learn. We were always confident, but we were never over-confident. Being cocky is a form of ignorance. It means you are talking too much and if you are guilty of that, an opponent will bring you down to earth. A football match is a like a relay race. We realised at Liverpool that you can score a goal by playing from the back. We learned this through playing the Latins in Europe. It might be cat and mouse for a while, waiting for that opening to appear. It's all very simple really, but it's effective. Improvisation! If your players can improvise and adjust to what's happening, you've got a chance. It's vital you conserve energy, making the opposition do all the chasing. When you play over 60 games a season you can't afford to be running flat out all the time. The system we devised was designed to confuse the opposition. And it was economical. You want everyone to do their share. The important thing is that everyone can control the ball and do the basic things. It's control and pass - control and pass. If you delay, the opposition is all behind the ball. So you are looking for somebody who can control it instantly and give a forward pass. And that gives you more space. You see some teams playing and it seems as nobody wants the ball. They turn their back on on each other. But at Liverpool, there is always somebody to help you. That's why Kenny Dalglish was an instant success. He came to a club and he had choices. Kenny was the kind of player who could exploit that kind of thing to the full. So this is the secret. Get it. Give an early pass. Switch the ball around. You might not seem to be getting very far, but the opposition pattern is changing. And the space opens up for the final pass. All the players must understand that when they've delivered a pass, you've only just started. You have to back up and look to help somebody else. 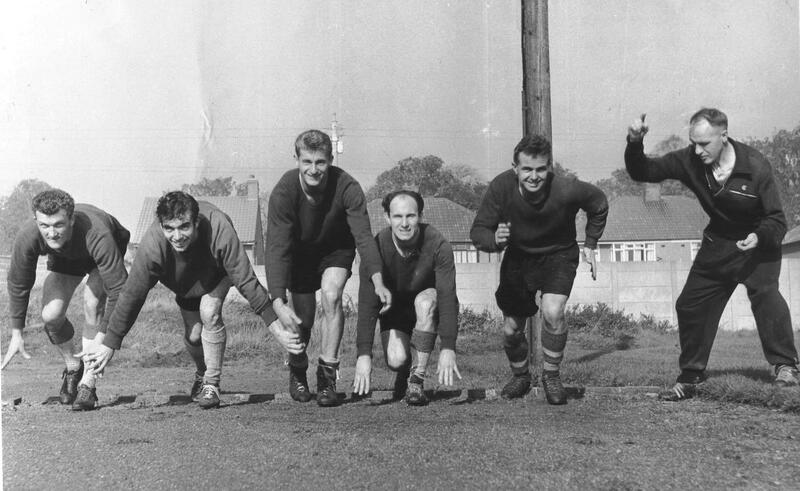 In the early days I went down to Melwood every day for training. That lasted a season then I stopped going. Felt I was intruding. I still go to Melwood but only for a sauna and a bath, a dip in the Melwood's magic waters. Melwood means more to me than any other part of Liverpool. It was where Liverpool was made. The first time I saw the place, an overgrown, neglected place it was too, I said to Ness, 'I'm going to see Melwood reborn, cultivated.' I did. Every inch of it. If someone took Melwood away from me....(the words faltered into silence). On 12 July 1974 I was at school in Sandfield Park, right next to Bill and Nessie Shankly's house. When the rumour spread that Our Messiah had retired incredulity, denial, fear, and a whole host of other emotions ran unchecked through the classrooms. At the end of the day, a day of media frenzy, a group left St Edward's College, walked through the Park and climbed over the wall at the end of Sandforth Close and walked on up to Bill's purple front door. Wearing blazers to match, and summoning every ounce of courage, the bravest of our group knocked at the door. Nessie answered and was asked "Is Bill there, please?" by the 12 year-olds assembled. The great man came out. And the moment ended with Bill signing his autograph on all manner of paper, though not our exercise books or we would all have been in trouble with masters at our rugby playing school who simply wouldn't have understood the significance."